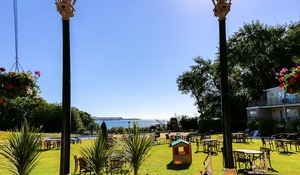 Our hotel is one of the only places to stay in Dawlish which has kids entertainment running all through half-term and we’re happy to welcome families of all ages. With plenty of family rooms and offers that include two children under 10 staying absolutely free of charge (that’s right, accommodation and meals) isn’t it time you booked your break with us? 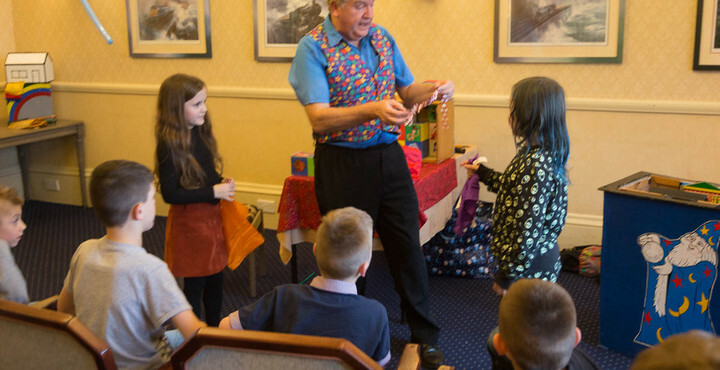 We always make sure that we have something going on for our residents and non-residents here at Langstone Cliff and we’re delighted to welcome back Merlin for one the biggest children’s parties in Devon. Specialising in close-up magic and cabaret, be prepared for an evening of fun and mystery. His Disney themed show even involves the children handling the doves and rabbits he produces as if by magic out of the air! His assistants Pixie, Dixie and Arthur keep the children enthralled and they often stay to get to know them better after the show – even though they’re always tight-lipped about Merlin’s secrets! Tailored to each audience, Merlin is a member of the International Brotherhood of Magicians so you can be sure of a spectacular show. You can see him at the hotel on Thursday 25th October from 8pm. And for the grown-ups, why not check out our latest bookings? We have a range of entertainment for you including South West tribute acts, dance holidays and comedians – you can view our upcoming events brochure here. Thanks to Langstone Cliff, this autumn you’ll never be without things to do in Dawlish. If you have any questions, you can contact us here or call us on 01626 868000. We look forward to welcoming you to our hotel! Prepare to be amazed by the extremely talented and Magic Circle member OzzyD! See Rob's marvellous magic show in October.